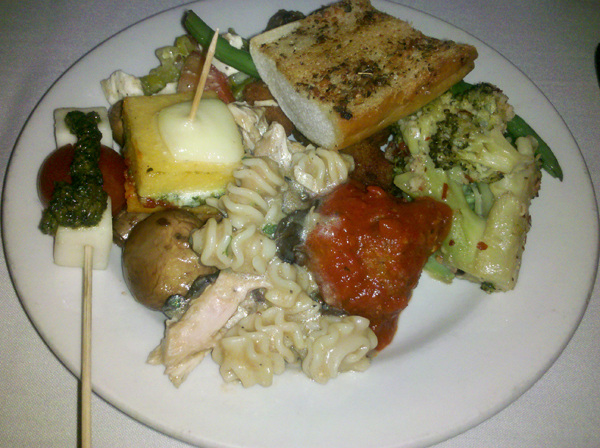 (Apologies for the pictures - I didn't have my camera) This was the first "real" meal that I had in Austin, and it was for the bachelorette party. I thought it was a tad odd that after the girls all got massages and felt relaxed they would want to get stuffed at an Italian buffet. After a few wrong turns, we made it to the place, and I'd say that it looks pretty neat on the outside. Its exterior walls are painted with scenes of Italian buildings. 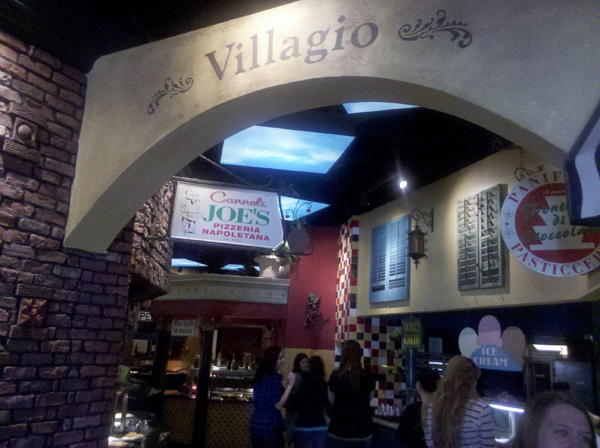 Inside it looks like a street in Italy with the food stations looking similar to shops and street vendors. I ended up getting one and a half plates of food. For $8, it was a decent lunch considering it was all you can eat. However, as far as Italian food goes, it's definitely just mediocre. I liked that the food was created in small portions by an actual cook behind the serving station; I could see the cook mixing up some vegetables and sausage before she put it out on a small serving plate. That was the cool part because I like knowing that my food isn't mass produced. However, the recipes must have been generic enough to be able to made by many and probably be liked by many. None of the dishes stuck out to me as being much better or much worse than another. At least it wasn't a terrible meal though!